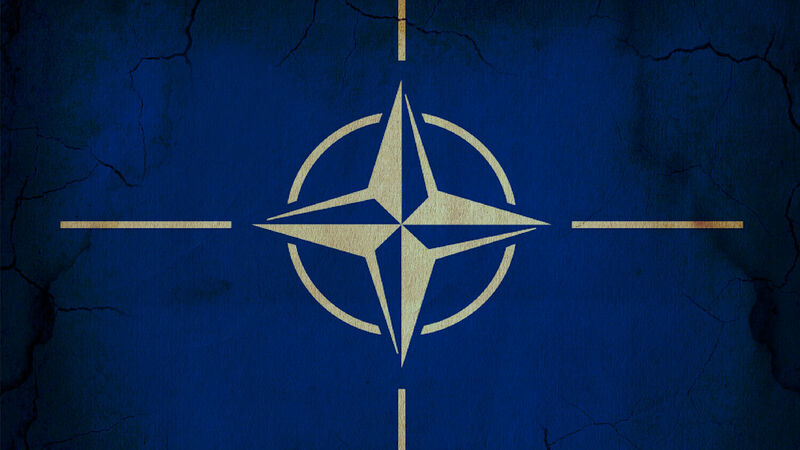 On April 4, 1949, the North Atlantic Treaty Organization was founded by the United States and 12 European nations. Now, 70 years later, the survival of the alliance is in question. According to nato’s first secretary general, the British Lord Hastings Ismay, nato was formed to “keep the Soviet Union out, the Americans in, and the Germans down.” Its goal was to prevent one single power from dominating the European continent, instead uniting the nations of Europe against a common threat: Soviet Russia. Now, nato’s existence revolves around Germany. West Germany joined the alliance in 1955. Joining allowed it to regain the military independence it lost after World War ii. Obviously, Germany wasn’t too keen on keeping “the Germans down” part of nato. But all of Germany’s other attempts to regain military independence had failed. In cooperation with France, German Chancellor Konrad Adenauer sought to create a European army to which Germany would be allowed to contribute. In this, Germany enjoyed the support of French Prime Minister René Pleven. But in 1954, the French Parliament stopped the endeavor, fearing German dominance. Only then did Adenauer seek to negotiate with nato. Arguing that nato’s increasing responsibilities and the rise of the Soviet Union demanded a strong European partner, Adenauer’s request met ready ears in the security alliance. Germany was allowed to join the union, allowing it to regain military independence. But Germany chaffed under nato’s restrictions. In 1956, just one year after Germany joined the alliance, Franz Josef Strauss, a strong critic of nato, was appointed defense minister. Strauss opposed nato’s structure as “an American protective alliance for free European countries”; he wanted it to be transformed into “an American-European alliance of equals.” He knew this wasn’t the intent of nato and that if his idea were to be executed it would break nato. Despite the concern of many in the alliance, Germany quickly rose to become the “backbone of nato’s conventional defense in Central Europe” during the Cold War. But this backbone has always intended to one day break away from the alliance and support another structure of its own ideals. nato members are supposed to each contribute at least 2 percent of their yearly gross domestic product to fund their military forces; however, according to all available data, Germany has consistently and unapologetically fallen short of this goal, spending 1.3 percent on average. In fact, Berlin plans to decrease military spending to 1.2 percent of gdp by 2023. When America has criticized Germany for this, the Germans have pushed back, hard. U.S. ambassador to Germany Richard Grennell has been taking the lead in airing America’s grievances. In response, some Germans have accused him of acting like a colonial viceroy or leader of an occupying army—and they’ve called for him to be kicked out. This is not the only bone of contention. Germany is forming a key strategic relationship with Russia through their pair of natural gas pipelines that run between the two countries under the Baltic Sea. If a deal is about gas and Russia, it’s not just a trade deal. Russia uses gas as a weapon, threatening cutoffs in the middle of winter, raising prices for adversaries and lowering them for friends. Germany is boosting Russia’s power in Eastern Europe and at the same time becoming more dependent upon Russia. Germany and the European Union as a whole have repeatedly attacked U.S. economic interests. The EU regularly fines American tech companies. Europe is working hard to undermine American sanctions on Iran. While America engages in a trade war with China, Europe draws closer to Beijing. Contrary to popular opinion, the first nato expansion idea in the early 1990s was from Germany, under the cynical and crafty Volker Rühe, who was clear about German frontiers shifting towards Russia. It was not the East Europeans, who even though were rightfully feeling threatened by Russia, driving the enlargement. Alongside Madeline Albright, Rühe convinced the Clinton administration to push east, spreading the liberal institutions that now form the backbone of the new EU imperium. Now that Germany has seemingly gotten everything it needs from the alliance, it is ignoring it. America, Britain, the Jewish nation (biblical “Judah”) and others should be alarmed by what is happening in Europe. Cooperation between Germany and Russia is setting the scene for a huge “seething pot” to spill over onto these nations! This boiling cauldron will scald everybody in America and Britain!